WordPress is everywhere you turn, it’s by far the one the most popular web platforms in use today. One of the reasons I love WordPress is because of the community. For anyone into WordPress, there’s an Australian WordCamp being held in Brisbane on May 30-31st at The Cube – QUT Gardens Point. Update: If you couldn’t make WordCamp, I’ve taken some notes online. 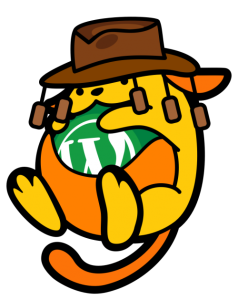 Head on over to my WordCamp Brisbane Live Blog. If you’ve never been to a WordCamp before, it’s a grass roots-style conference event, catering to WordPress developers and users at all levels. It’s a fun few days, I loved every one I’ve been to! There’s a great lineup of speakers covering topics such as WooCommerce, SEO, WordPress Performance, Freelancing and much, much more.